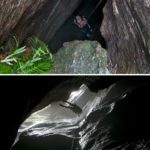 Canyoning tours in Australia will have you climbing, scrambling, abseiling, swimming through canyon systems and down rock faces. 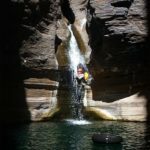 The Break Loose canyoning and mountaineering experiences offer a fantastic day out in the Australian bush and an awesome outdoor activity for you and your friends! 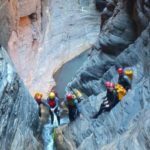 We offer exciting canyoning and mountaineering packages that provide lessons, trips and tours in locations that will blow you away. 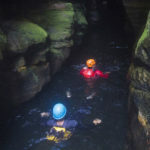 Swim the crystal clear rock pools, abseil down cliffs, reconnect with nature and have an adventure in the great outdoors! Our experienced guides will provide safety and equipment lessons before you set off on your canyoneering adventures. Once you arrive at your stunning destination they’ll guide you as you explore the peaks and valleys of the Blue Mountains in New South Wales or get lost in the beauty of places like Dove canyon in Tasmania. 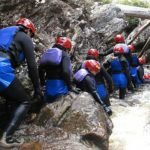 If you love nature, stunning views and adventure then canyoning is the perfect outdoor activity for you. No experience necessary! 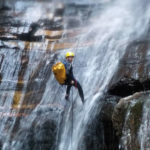 Blue Mountains wet canyoning experiences are held during the warmer months, while dry canyons are accessible most of the year. 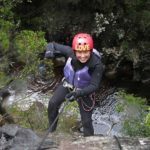 Tasmanian canyoning is a summer experience only. Why not challenge yourself with one of these thrilling and exhilarating experiences? 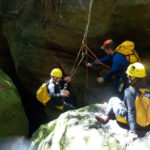 Grab a friend and try canyoneering this weekend!